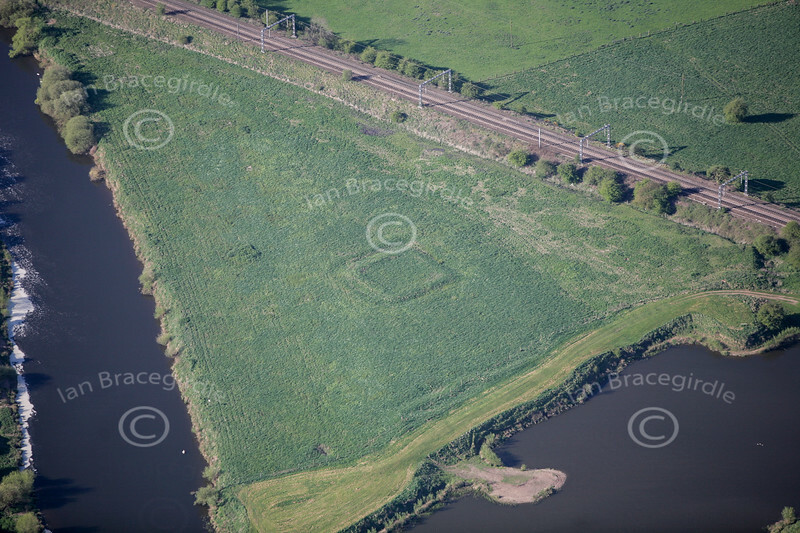 Aerial photos of Civil War Earthworks around Newark on Trent Nottinghamshire. Crankley Point, English Civil War Earthworks from the air. Aerial photo of an English Civil War Redoubt on Crankley Point, Newark, Nottinghamshire.